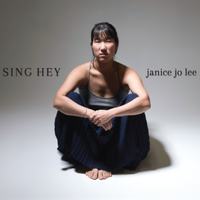 Kitchener based artist Janice Jo Lee joins AW@L Radio in studio for a discussion on her new album Sing Hey and the cross Canada tour she is embarking on. Kitchener based artist Janice Jo Lee joins AW@L Radio in studio for a discussion on her new album Sing Hey and the cross Canada tour she is embarking on. Janice also shares her thoughts on building artistic communities and fostering healthy music scenes and we discuss some of the themes in her new album which cover a breadth of interconnected social justice issues.We also play several tracks from Sing Hey:1 - All the times you were silent, 2 - Rising, 3 - In the Breeze, 4 - Resilience From janicejolee.ca""Janice Jo Lee is an award-winning folk artist rooted in Kitchener-Waterloo, Ontario. She is a singer-songwriter, poet, storyteller and community organizer. She sings, speaks and shares stories about love, struggle, and community... Lee’s new album Sing Hey is a vocal and acoustic showcase with songs themed on feminism, poverty and friendship. There are sing-along anthems for the people, and sit-back-and-chill folk songs that will comfort your tired soul." you can find Janice on twitter: @janicejolee and bandcamp: https://janicejolee.bandcamp.com/ AW@L Radio is live to air every Friday from 16:00-17:00 on CKMS, 100.3 SoundFM in Waterloo. « Previous: KW Radio Basics - Release Seamus Daly!